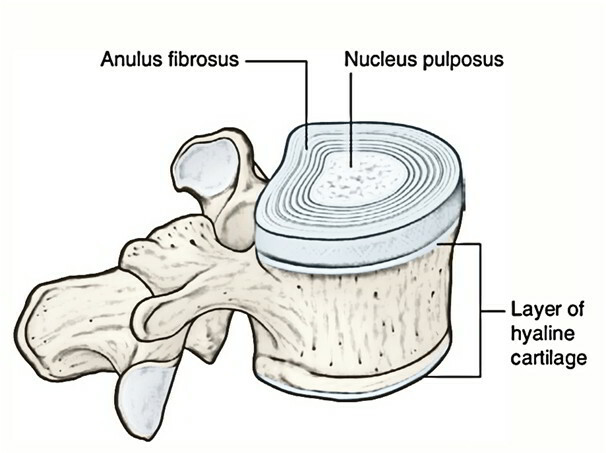 Thin plates of hyaline cartilages cover the inferior and superior surfaces of the adjacent vertebral bodies, which then are linked by fibrocartilaginous intervertebral disc. An outer rim by fibrocartilage – the annulus fibrosusand, a central core of gelatinous substance – the nucleus pulposus compose the disk. Anterior and posterior longitudinal ligaments of the vertebral column hold together these joints. 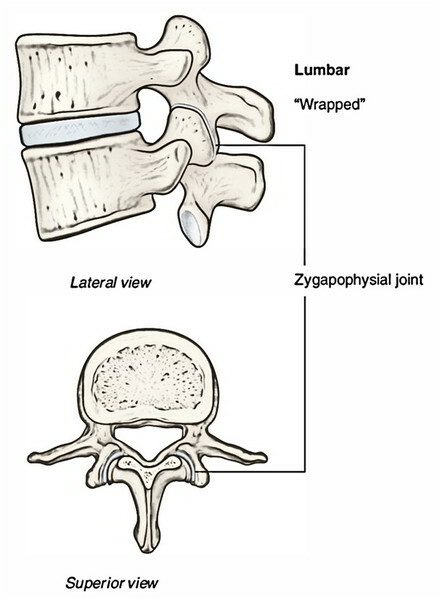 The joints between the superior and inferior articular processes of adjacent vertebrae are referred to as facet (zygapophysial) joints. They’re plane type of synovial joints and let gliding movements. The zygapophysial joints of thoracic vertebrae are directed vertically. This restricts flexion and extension, but eases rotation. The rotation is considerably eased since the articular process of thoracic vertebrae are set on an arc. The ligaments are joint capsule, which encloses the articular surfaces. Ligaments flava between the laminae of adjacent vertebrae,. The movements of flexion and extension are best enabled in the cervical and the lumbar regions, while the rotatory movements are best viewed in the thoracic region.